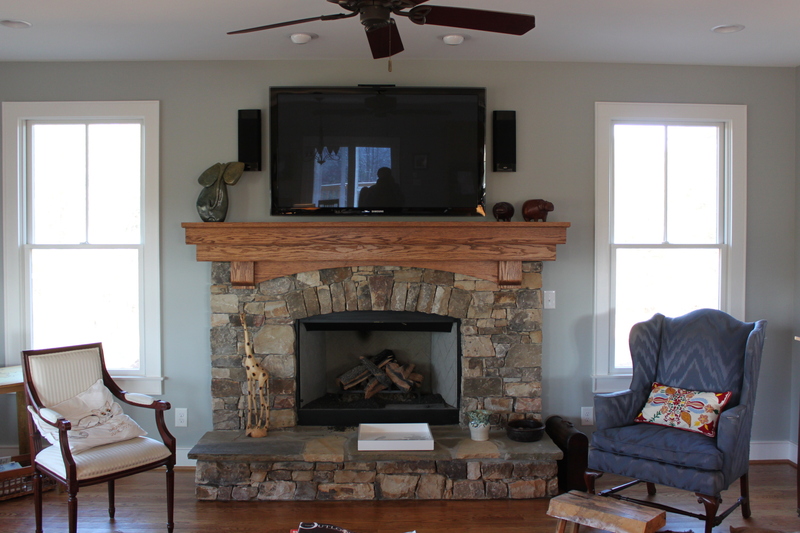 Your source for Audio Video Consultation, Custom Design, Home Theater & Stereo, Installation & Repair Services in Asheville, Hendersonville, Waynesville, Black Mountain, Brevard and most everywhere in Western North Carolina. Cane Creek Audio Video is Frank Goldfarb, his associates and the companies we work with. 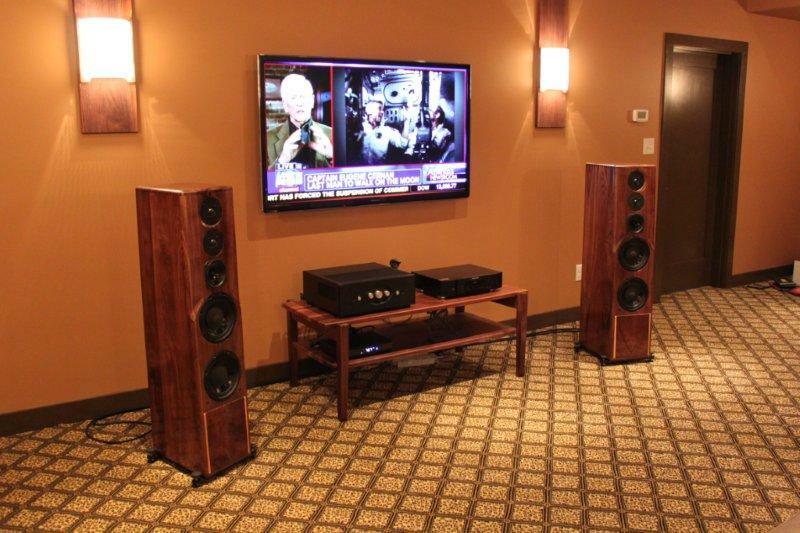 We offer expert custom installation, TV and audio tweaks, and room acoustic evaluation and correction. I've worked with Frank many times over the last few years. 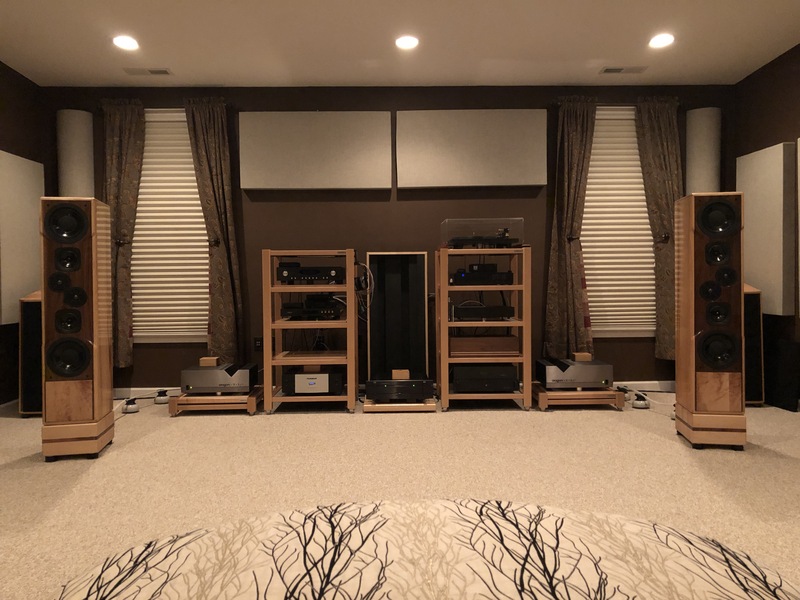 He installed our original home theater system, including matching our existing equipment with the best and most cost-effective screen and rear speakers. He upgraded our projector for us when our original one went out, repaired our sub-woofer when the amp failed on it, and has sold several pieces of used equipment for us. His expertise in choosing, installing, repairing and selling home theater equipment is the best I've experienced, and he is extremely friendly and responsive as well. He has our unqualified recommendation. This is Frank Goldfarb’s music system and includes custom built speaker, the cabinet of which I designed and is based on an GPA 604 16” coaxial driver, Outboard Crossovers, Daedalus Double BOW subwoofers each with two 12” drivers per cabinet, PS Audio DSD DAC, Rogue Audio RP-7 tube preamp, Rogue Audio Apollo Dark tube Monoblock amplifiers, Bryston amp and modified Behringer DSP for the Daedalus subwoofers, Well Tempered Labs Amadeus Turntable with a Dynavector 17d3 Karat cartridge and Rogue Audio Ares Magnum transformer coupled, tube phono stage. Much attention has been paid to the acoustics of the room with many different types of acoustic panels and all components are plugged into an 85 lb. Furman IT Reference 20, itself on a dedicated 20 amp circuit. *We provide electronic repair services and modifications for almost anything that has to do with audio and video, including Solid State and Tube Amplifiers, Preamplifiers, Integrated Amplifiers, Receivers and we even re-foam older Loudspeakers. We especially enjoy working on the older classic gear. Besides our normal installation services, we now offer consultation services that will provide you with a full system design, including recommended equipment and labor costs for your design. There is a sliding charge of between $100 and $200 for this service, depending on location and design parameters, but once you have this, if you don’t wish to hire us to do your work, you will know a lot about what you can do for your entertainment needs. The consultation fee is refundable if we are hired to do your work, depending on the scope of the work. Basically, labor needs to be at least $300 for the refund policy to be in effect. We will install equipment not purchased through us, but do not offer support services for this equipment, although our installation is guaranteed for one year. Our basic labor rates are increased by 20% if we install equipment provided by others. Most of our clients hire us to do their work and most purchase equipment though us, as the quality of our products are first class, our prices are fair and people want us to be responsible entirely for their systems. However, this is up to each individual and we are as flexible as we can be in this regard. We hope to hear from you, as we are just a click or phone call away. These are some of our product partners. This is a part of Cane Creek AV’s listening Room, featuring one of the CCAV’s Model 1 speaker system, made by us and capable of huge, realistic, dynamic swings, with lifelike sound quality. 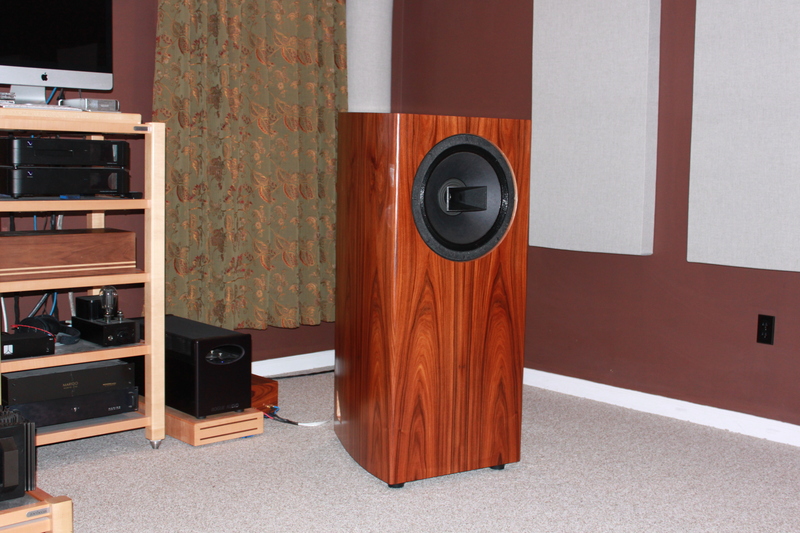 The finish on this speaker is Santos Rosewood, but many other veneers are available. The cabinet walls are laminated sections of void free, Baltic Birch, Plywood for an incredibly inert cabinet. 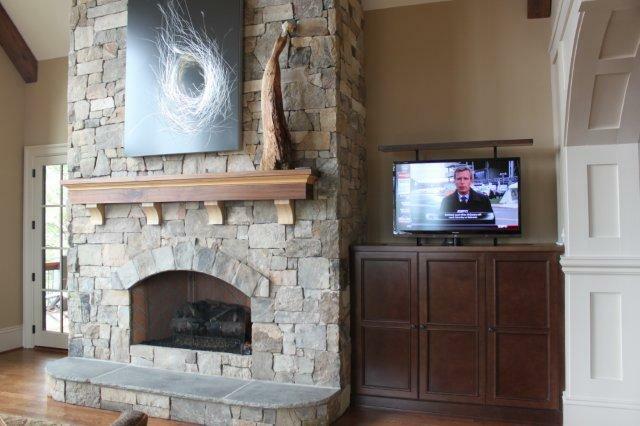 55in Samsung Plasma TV over the fireplace with a two channel Klipsch/Denon sound system. The original installation, not performed by us, had the cable box, Wii and DVD player sitting on the mantle. The look was terrible, as was the sound quality from the TV speakers. We moved all of the equipment into an adjacent closet and control is though a touch screen remote. The door to the closet does not have to be opened for the remote to work. The owners like the new sound quality as much as the new look!! High end audio, two channel audio system with a networked 50in Panasonic Plasma TV and solid Walnut Argos speakers from Daedalus Audio. The sconce mounts, as well as the table for the equipment, were custom made of solid walnut. Amplification is a Tempest tube Integrated amplifier from Rogue Audio and Marantz Blu-Ray player. 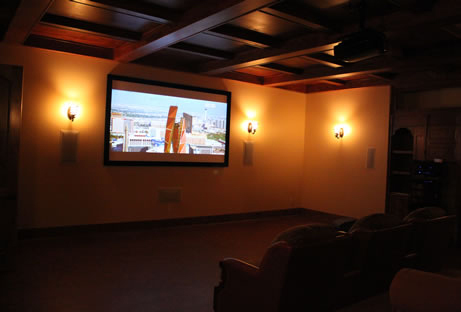 This is a Home Theater we did in Black Mountain. The speaker system is a 7.2 channel, in-wall, Klipsch system driven by Onkyo electronics. Even the two subs are mounted inside the walls. Video is courtesy of a three chip JVC projector and control is via Touch Screen Remote control. This is an installation of a TV that normally resides inside the cabinet. When the owner pushes the TV ON button on his Touch Screen Remote, the TV rises and is ready to watch. All controls, including the House Music system, are through a Touch Screen Remote. This is a complete shot of the Cane Creek Music Room, featuring CCAV Model 1 speakers and mostly Rogue and PS Audio electronics. Sound sources are via a Well Tempered Labs turntable and an iMac as a server. The Mac stores over 1900 CD’s at the present time via WAV files, all downloaded from my personal library. Control is via an iPad and the sound quality here is as good as I’ve ever heard anywhere. I learned about Cane Creek A/V by accident. I was in the market for a particular type of amplifier, a Rogue Audio Cronus, to upgrade my stereo system. I had contacted the company headquarters at Rogue Audio and learned Frank, owner of Cane Creek A/V, was a dealer located in Fletcher and had the amplifier available for demonstration. I was quite surprised to discover this amplifier was available locally. I contacted Frank and a demonstration to evaluate the amplifier was arranged. He has an excellent variety of music to listen to and gave me plenty of time to listen. Afterwards, when we discussed the amplifier, it was clear he knows stereo inside and out. He came to my house with the amplifier and set it up with my existing stereo system. I was thrilled with the outcome. Next, I decided it was time to upgrade the speakers. Of course, I called Frank to start that process. I bought a pair of beautifully finished Dark Cherrywood Martin Logan Motion 60XT’ speakers from him and again he came to the house with the speakers and set the system up to get the sound just right. I’ve called or emailed Frank with all sorts of questions and he’s always promptly responded. The support he provides both before and after my purchases is just fantastic. As far as buying stereo goes these days, the choices are limited to the internet or big box stores. To have a local business that provides expertise, so that an informed decision can be made cannot be understated. I suggest anyone in the market for home audio or audio/video systems look no further than Cane Creek A/V. When I need another audio component or decide on an entire audio/video system, I only need to make one call. Frank and his team did an excellent job planning and installing the equipment in our house. Things were changed as I decided to add some items at the last minute. They were flexible enough to make the changes required without incident. Also they were available to trouble shoot “operator error “ issues and dealt with those professionally, as well as timely. I can’t recommend Cane Creek AV highly enough. Interested in having us work on your project? Fill out the form below with your information and we'll get back to you!